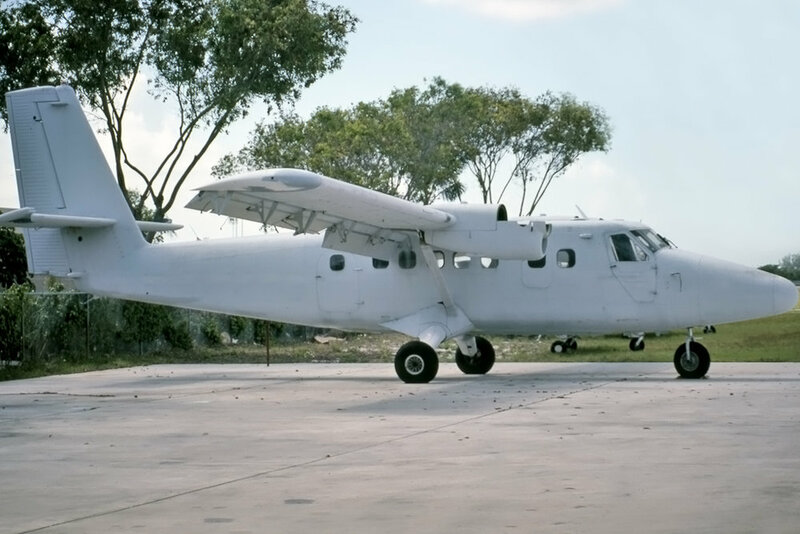 South Florida Aviation Investments Inc.
05-Apr-1999 After departure from Lantana, operating a charter flight to Kissimmee, FL the right engine lost oil pressure was shut down & the propeller • feathered. While on final approach for landing at Lantana the pilot heard another aircraft enter the runway, and a go-around was initiated. The aircraft collided with the ground while executing the go-around. Subsequent investigation determined the oil cap on the affected engine had not been properly secured. 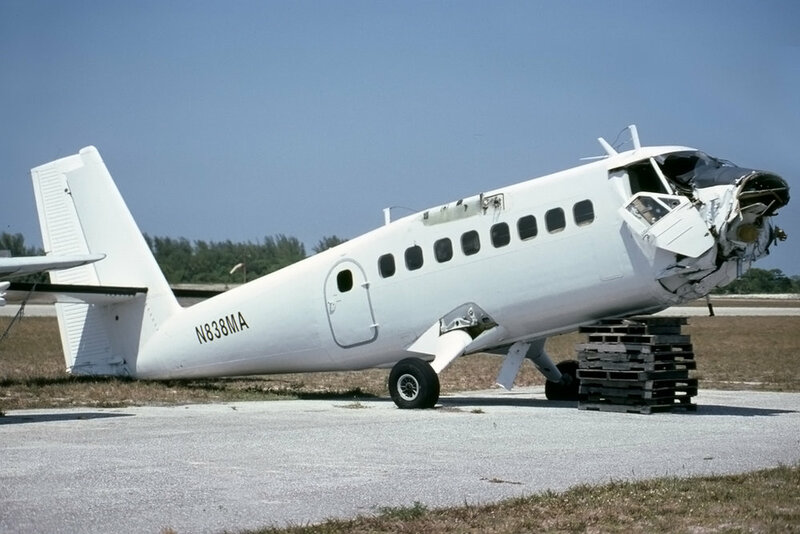 The fuselage remained mostly intact, and was noted at Lantana 15-Apr-1999, 02-Oct-2000; by 10-Jul-2002 the remains of the aircraft had been shipped to Saint Croix, USVI for parts recovery by Seaborne Airlines. 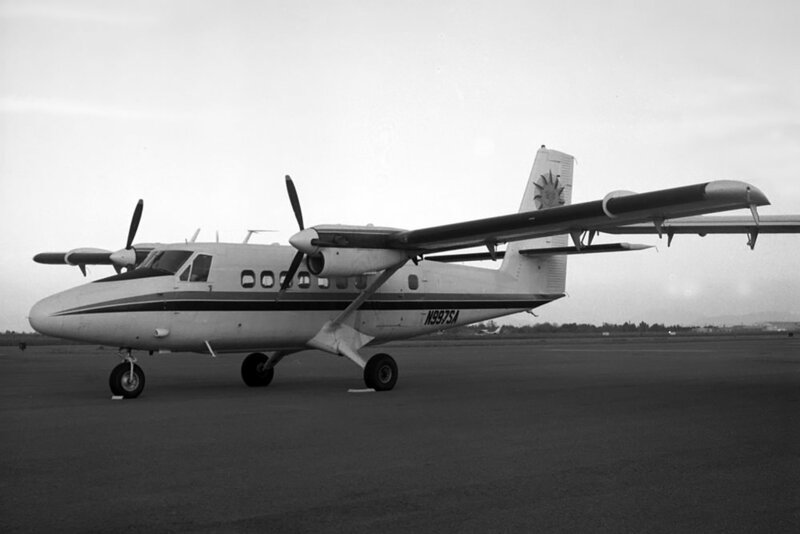 During the pre-purchase assessment performed for Maxfly Aviation in 1995 the aircraft was determined to be salvageable for ferry purposes, however neither engine or aircraft logs were present. It was subsequently ferried to the U.S. for inspection & verification of airworthiness and service bulletin completion, and upon completion of overhaul was returned to service.